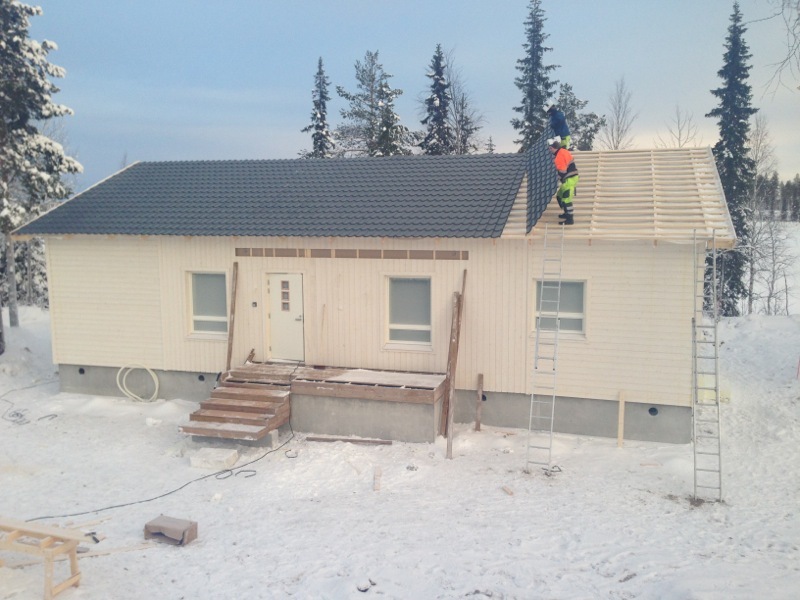 Today in the early afternoon, a good third of the roof was on the house. It looks great in the dark-grey colour that we selected for it. 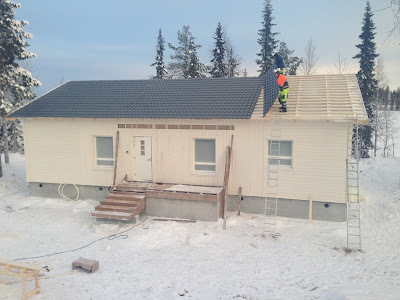 The roof was delivered only in the morning, and the secret of its fast deployment is that – while it looks like tiles – it actually comes in large panels of the correct length for our house. 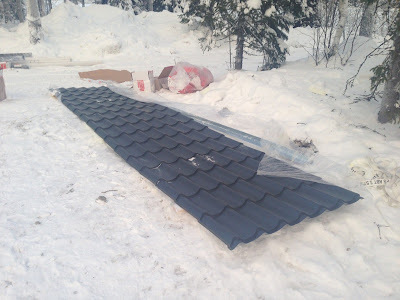 The photo above is a thin pile of these sheets, containing all remaining (about two thirds) roof panels. The individual panels are very thin sheet metal, only a millimetre or so. 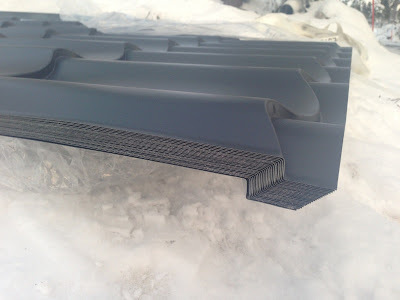 Since they are supported by a great number of triangles and planks underneath, they will be able to support a snow load of 300 kg/m2! Here's a photo of what the house looked like when I visited, but by now the roof is probably complete already. Watching for a while, I saw that it took only some 5 min or less per panel to be installed. The two workers are sporting a bit of white foam on their heads held in place by their ear defenders, which double as FM radios. This is because they carry the panels on their heads climbing up the ladders in parallel, and even though these panels are not really heavy, the foam cushions them against their heads. Clearly, this wasn't the first house these two are working on.